UPDATED 3/22/19: William Shatner turns 88 today! 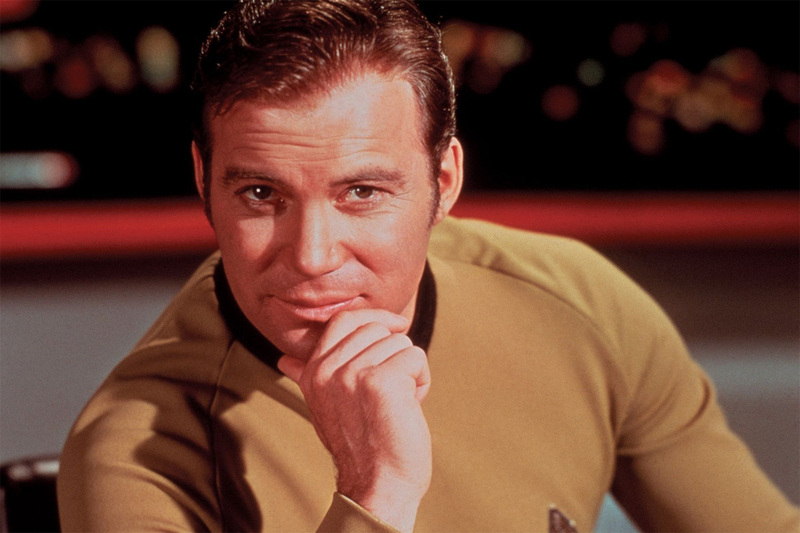 It’s time, then, to re-present this list of 13 Great Captain Kirk Moments! Soldier. Explorer. Diplomat. 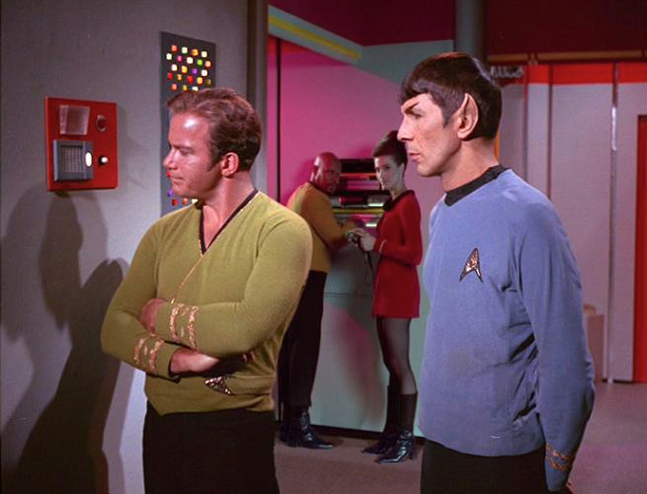 When it comes to Star Trek commanding officers, there’s Captain James Tiberius Kirk and then there’s everybody else. Outclassed and out of his depth when going hand-to-hand with genetically enhanced superman Khan Noonien Singh, Captain Kirk tries his usual array of Kirk Fu fighting moves, to no avail, and eventually has to resort to something a little more direct: the warp-engine equivalent of a monkey wrench. Sometimes you do what it takes to get the job done. 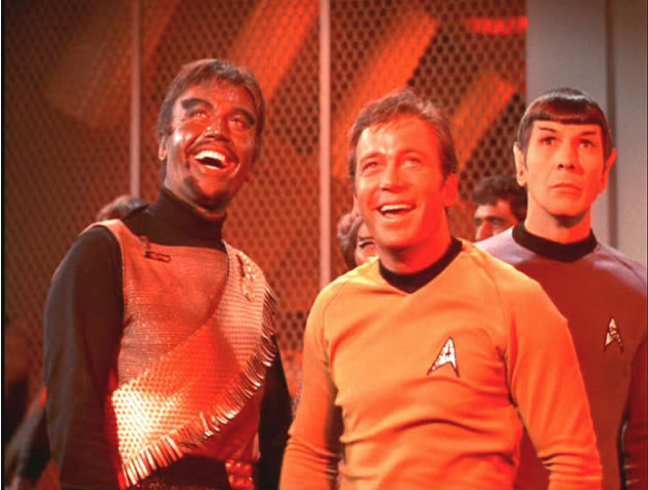 When Kirk realizes that both his crew and their Klingon foes are being manipulated by some sort of creature that feeds on their hostility, he forces himself to put his anger aside and convince the Klingons to lay down their arms and come together in good will, leading to that rarest of sounds: a Klingon belly laugh. 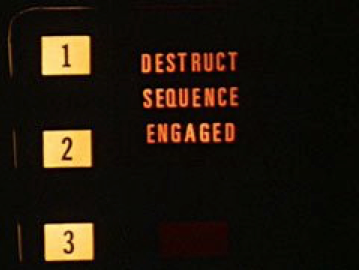 If there was one thing Captain Kirk was especially good at, it was talking to computers until they blew themselves up. Whether it was Daystrom’s M-5, Norman the android, or Landru, give Kirk a few minutes alone with it and pretty soon it’ll be melting circuit boards all over the place out of sheer logic. The best of these comes in “The Changeling,” when Kirk reduces the powerful sentient space probe Nomad to little more than a blithering idiot. What, you can’t make a functioning cannon out of bamboo, rocks and vines while being pursued by a furious boulder-throwing Gorn commander? That’s because you’re not James T. Kirk. When Captain Kirk is temporarily relieved of command after being artificially aged and declared unfit for duty, command of the Enterprise falls to a bumbling commodore with no real experience in the big chair, who in no time tries to take a short cut through the Neutral Zone and winds up surrounded by Romulans. Once rejuvenated, Kirk handles the problem in a matter of moments by busting out the old “Corbomite maneuver,” a bit of razzle-dazzle bluff we’d already seen him utilize in the previous season. It’s great to be smart and brave, but there’s something to be said for experience. Everyone talks about Kirk as a ladies’ man, but we really get to see him as a charmer on his dinner date with Dr. Gillian Taylor, when he’s trying to talk her into handing over her whales to a crazy spaceman from the future. Not only does he get the whales, but she picks up the check! Now that’s smooth. You’ve had better days as captain. A routine trip to find your head nurse’s long-lost fiancé has turned into a nightmare of insane scientists and killer androids, and next thing you know you’ve been strapped to a turntable so they can make an android double of you, copying your mind so as to take over your ship. But you’re James T. Kirk, so you make sure to fill your mind full of uncharacteristic, racist hate for your Vulcan first officer, so he’ll immediately know it’s not really you. There aren’t commendations for thinking on your feet, but goddammit, there ought to be. When Kirk has to get Khan to follow him into the Mutara Nebula so that his wounded Enterprise will have a fighting chance against the Reliant, it’s just a little bit of goading on Kirk’s part that cuts to Khan’s ego like a knife: “I’m laughing at the superior intellect.” Know your enemy. 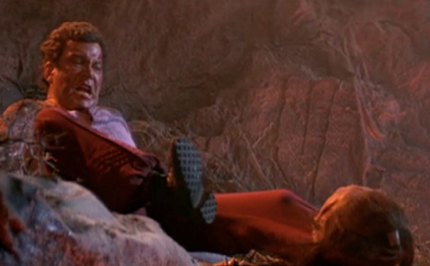 After a long confrontation with Klingon Commander Kruge, finally Kirk has had enough of his Klingon opponent. And when he’s had enough, he’s definitely had enough, expressed by a series of boot kicks to the head. Besides, he fought alongside Lincoln! Scott Tipton and David Tipton have written for nearly every iteration of Star Trek in their work for IDW Publishing, including the best-selling Star Trek/ Doctor Who: Assimilation Squared and the critically acclaimed Star Trek/Planet of the Apes: The Primate Directive. Their most recent project, The Seven-Per-Cent Solution, adapted the work of Wrath of Khan writer/director Nicholas Meyer to comics. All credit to David and Scott. They were their picks! I would have added the “Risk” speech myself. As editor of this here site, I suppose I could have overruled David and Scott. But I wanted to let them do their thing. Personally, I don’t think any list is complete without that scene, Nanette. 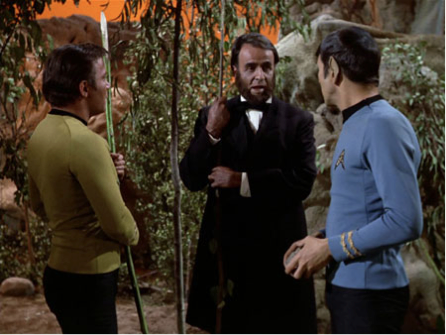 I also happen to think that Kirk’s eulogy of Spock is his greatest Trek moment. One of my favorite moments is Kirk’s speech at the end of “A Taste of Armageddon.” It’s very well written, and Shatner’s performance is wonderful. 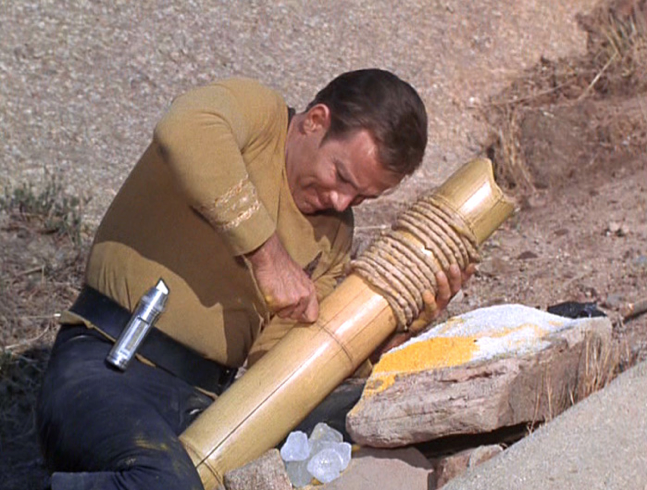 “The Trouble With Tribbles” & “A Piece of the Action” showcases Shatner’s gift for comedy. I would “I, Mudd” as another example. I’ve always thought that Shatner’s best talent was comedic and have wondered why it took Hollywood so long to see that.